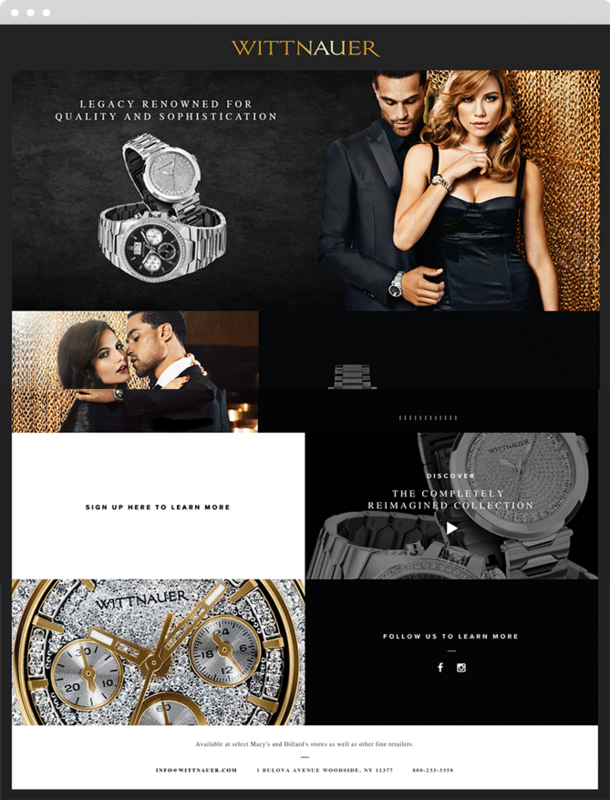 Jane Creative Studio partnered with renowned retailer Bulova to revitalize the online presence of the newly acquired Wittnauer brand. Covering website design and development, content strategy and channel management, the main objective was to give the brand renewed relevance while engaging a new target audience. 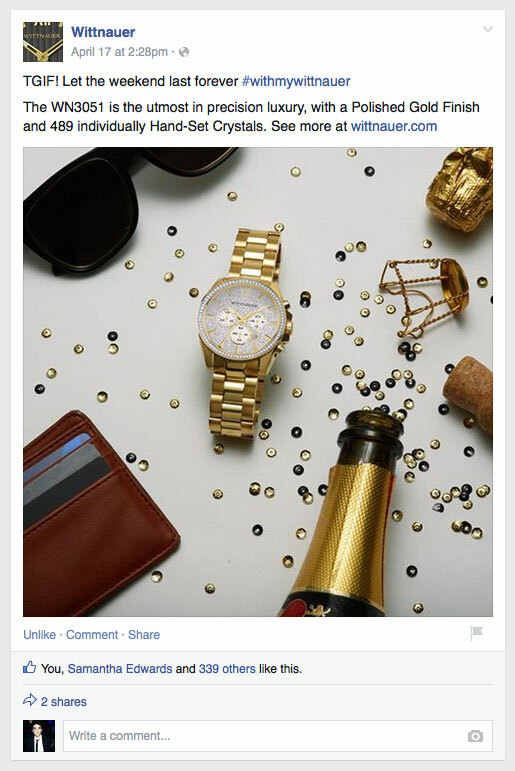 Jane Content Studio partnered with renowned retailer Bulova to revitalize the online presence of the newly acquired Wittnauer brand. Covering website design and development, content strategy, and channel management, the main objectives was to give the brand renewed relevance while engaging a new target audience. Jane Creative Studio led the charge in a complete overhaul of Wittnauer's digital presence, from designing and developing a multi-phased website to crafting a comprehensive social media strategy. A 143-year heritage brand gets a contemporary new look and feel. Sometimes big news can't wait. To avoid delaying the announcement of Wittnauer's new direction, Jane Creative Studio launched an interim Microsplash site. The page hinted at the new brand aesthetic, while development of the full Wittnauer site was underway. Jane Creative Studio was tasked with realizing the new brand direction using existing assets. They were reimagined and reworked to give Wittnauer a modern aesthetic. Traditional front-facing product shots were cropped to intimate close-ups, highlighting the features and textures of the watch for a detail-focused retail approach. 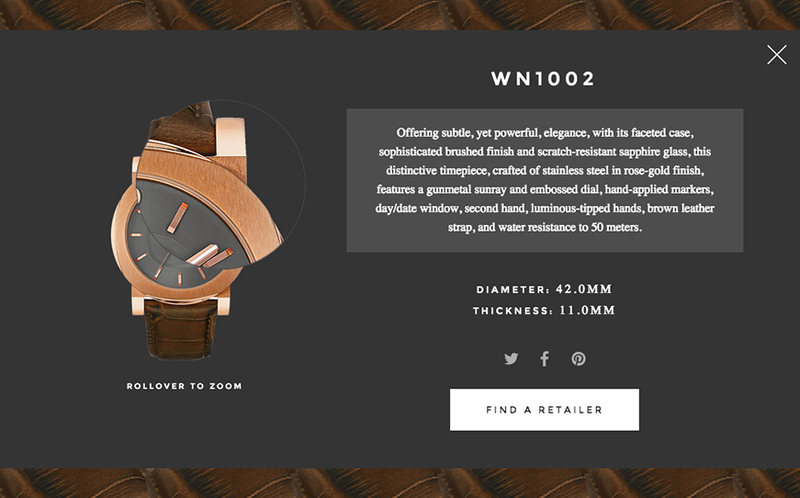 Click the watch patterns to see them applied to product slides. Jane Creative Studio crafted a new brand aesthetic, focusing on luxury and the modern consumer. A modern sans-serif typeface was paired with rich dark backgrounds and textural pops of gold. An immersive product environment was created by combining lifestyle and campaign imagery with evocative product textures. 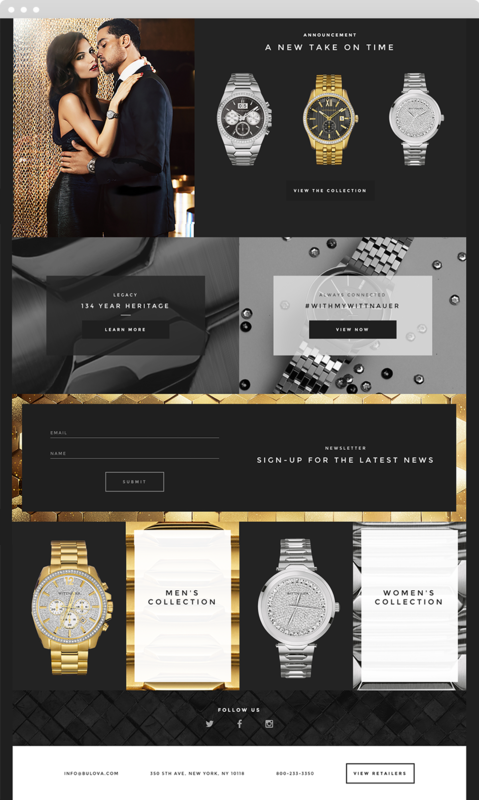 The homepage was designed to represent the new direction for the brand. Everything from the dynamic layout to the intimate close-up images of the product evoked a more contemporary look and feel for the historic brand. Using an entirely custom code script, Jane Creative Studio developed automatically calibrated watch animations that brought true-to-time movement to the website. 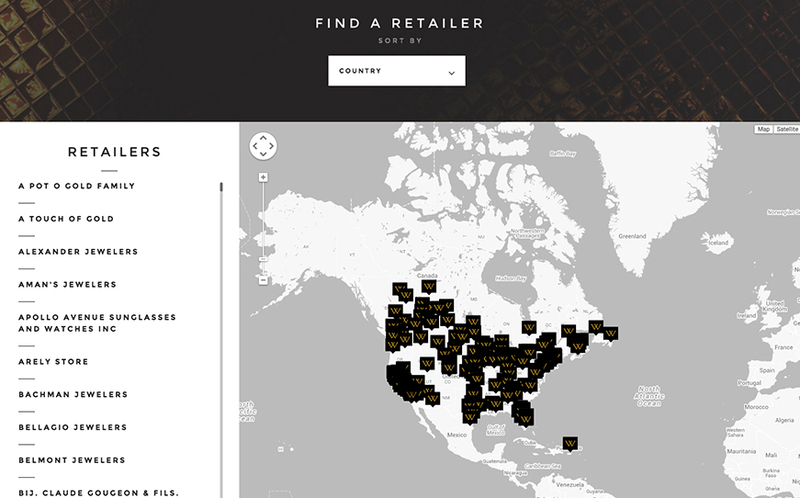 Comprehensive product pages were developed to provide essential details for shoppers, including an interactive zoom feature and social platform integrations. 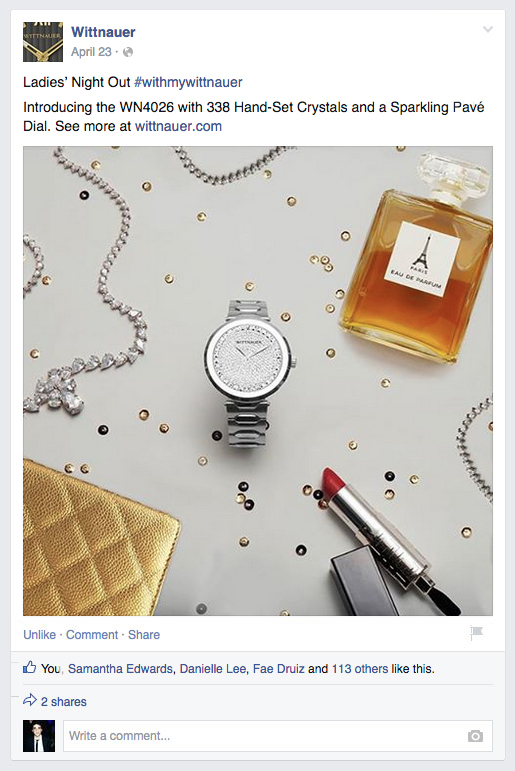 Each watch page included a product zoom feature, description, technical specifications, social sharing buttons and a print function to convert website visits into brick-and-mortar retail sales. To convert website visits into brick-and-mortar retail sales, each product page included a product zoom feature, description, technical specifications, social sharing buttons and a print function. Brick-and-mortar sales are heavily influenced by the online experience. Jane Creative Studio developed a comprehensive responsive website, catering to consumers on the go. The mobile homepage provided easy access to what the customer on the move wants most: what to buy and where to buy it. The mobile experience did not compromise the amount of information provided to the consumer. Product pages were easily accessible, while retaining essential details. The mobile "About" page showcased Wittnauer's legendary history, in an accessible and subtle manner. The mobile experience did not compromise the amount of information provided to the consumer. Product pages are easily accessible, while retaining essential details. Developing a strong social media presence was vital for introducing the revitalized brand to engage a new demographic of consumers. Jane Creative Studio defined the social media strategy and developed an artillery of tools for consistent execution. Comprehensive editorial calendars and style guidelines ensured that the finer details aligned with larger brand objectives. The in-house production team developed a series of photoshoots highlighting the lifestyle emphasis of the brand, without losing focus on sales. The result was a striking combination of videos and imagery, leveraging custom photoshoots, user-submitted content, and re-framed Wittnauer assets. 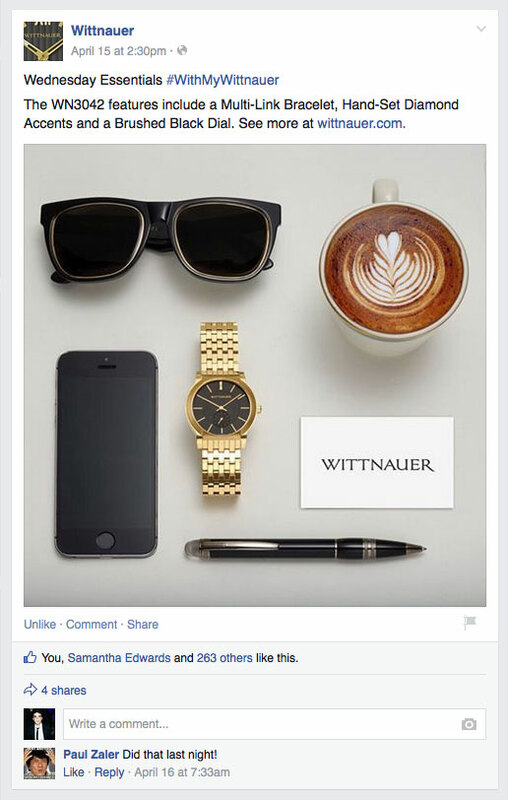 The “With My Wittnauer” campaign turned wearers into brand ambassadors. Products became instantly relatable and gained high levels of engagement for the new brand. Social media engagement translated into visible increases in website traffic.